A few months ago I started a new job with the Wisconsin Department of Workforce Development, Equal Rights Division, as Director of its Civil Rights Bureau. Somehow it feels like a natural progression in my career. At the same time, I am so grateful to have ended up in this important position in an area of the law I care about deeply. I hope to be a resource to employers doing their best to comply with the anti-discrimination laws we enforce, and to individuals who believe they have been aggrieved under those laws. I am so lucky to be able to work in a field about which I care deeply—with about 50 other people who have the same level of commitment and caring. How did I get here? I grew up in Northern Wisconsin, an experience I wouldn’t trade for anything. It is lovely, I had a terrific and quirky family, and good friends, but it was tough at times for a gay kid in the 1960s and ’70s. My Italian-American family was fairly unusual in Minocqua, so we felt exotic. But for our Native American cousins (and the nearby Lac du Flambeau reservation), we really were as diverse at it got! One of my earliest memories is of my mother crying uncontrollably when the news of Martin Luther King, Jr.’s assassination was reported. I was a very small boy, but it captured my attention. She and my Aunt Irene—who lived next door to us and was once a substitute teacher who brought breakfast on her own dime for poor kids in the Lac du Flambeau school system—taught me about struggles for equality and the consequences of discrimination. I learned on my own in high school. I was not the typical Northwoods kid, being interested in the arts and academics and not sports or hunting. I knew at an early age that I was gay, but did everything possible to fit in. The alternative was obvious to me: I saw kids getting bullied and even beaten up if they didn’t fit the mold. Luckily, I have an identical twin brother who was a very popular jock, and he made me cool by association. I left town—got far away from home—and did my undergrad studies at Bradley University in Peoria, Illinois. It was odd in the ’80s to be in a gay bar that was regularly raided and protested against, but that’s what happened in that part of the Midwest. On to Wisconsin in 1985, where—now out—I landed in Madison, the capital of “the Gay Rights State.” I felt emboldened, but usually not enough to make waves. In this era of #MeToo and #LoveIsLove, we forget what it was like in the ‘80s and ‘90s. I worked at a restaurant in Milwaukee where I was subject to harassment by co-workers because of my sexual orientation. While I tried to “give it back to them,” I never complained to management about the treatment. I learned first-hand just how brave one must be to come forward with allegations of harassment. Since 1993, I have worked at the Equal Rights Division. I have investigated and supervised on both sides of our agency (Labor Standards and Civil Rights complaints). I have also worked hard to enhance our education and outreach programs. 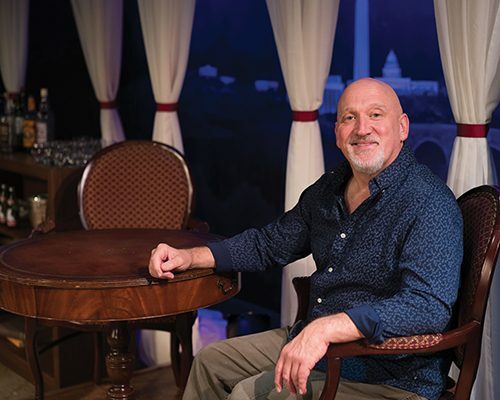 In my spare time, I do community theater and I find that this “showy” part of my life lends toward more interesting presentations for businesses. We offer excellent training at little or no cost to groups who contact us. We can teach the basics or get down to more complex issues, depending on the audiences. Our goal is to ensure all businesses have knowledge of how to comply. I find that most employers understand the laws we enforce and want to comply with them. They also understand the business case for building a diverse workforce. We do still see complaints, however. The most pervasive types of discrimination we see are peer-to-peer harassment and retaliation. The Harvey Weinstein case brought sexual harassment to national attention. Since then, we have seen a lot of people filing complaints and coming out with stories of harassment. Employers are taking this seriously and training their supervisors and employees in avoiding all types of harassment in the workplace. Contact the Equal Rights Division if you or your company would like a speaker on any of the legal topics we cover: Discrimination or wage and hour matters, Wisconsin Family and Medical Leave, employment of minors, etc. Call 608-266-6860 or email erinfo@dwd.wisconsin.gov.